Pariser allegedly told the Claimant that Parris came highly-recommended and that he could be trusted, despite the fact that Parris had been suspended by FINRA less than two (2) years prior. He further claimed, according to the complaint, that the company Parris allegedly was running, First Nationle Solution, had an excellent track record. The Claimant, according to the statement of claim, was unaware of Parris’ background and relied on Pariser’s recommendation. First Nationle Solution has turned out to be a Ponzi scheme, according to an Securities and Exchange Commission (SEC) complaint filed in June 2018. 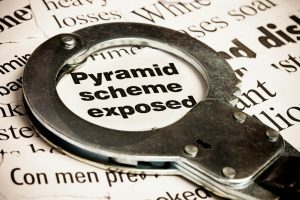 The SEC alleged the Parris, among other individuals, orchestrated the First Nationle Solution Ponzi scheme and bilked investors out of over $102 million. Upon information and belief, Independent Financial Group failed to supervise Pariser and allowed him to make an unsuitable recommendation to invest with Parris. Due to Independent Financial Group’s securities misconduct, the Claimant lost over $150,000.00. If you’ve invested with Independent Financial Group and/or Jon Pariser and suffered losses in First Nationle Solution, we may be able to help you recover your losses. Contact our firms today to learn how we can try to recover your losses. We work on a contingency fee, meaning if we don’t recover money you owe us nothing. Our lawyers have extensive experience in claims against banks, accountants and financial advisors who aid or assist in fraud. Silver Law Group and The Law Firm of David R. Chase represent the interests of investors who have been the victims of investment fraud. Scott Silver is the chairman of the Securities and Financial Fraud Group of the American Association of Justice and represents investors nationwide in securities investment fraud cases. David R. Chase was a former SEC prosecutor. Please contact Scott Silver of the Silver Law Group for a free consultation at ssilver@silverlaw.com or toll free at (800) 975-4345.